We get a kick out of seeing big machines in action. We know the models; all the ins-and-outs. More importantly, we see ways to customise them so they do everything needed for a particular situation. Connecting you with the right equipment is what we do. So, let’s start out by asking: are you struggling to find reliable machinery that can do all the tasks? Or are you often stuck hiring multiple pieces of equipment that don’t quite do it all? 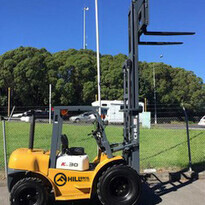 Do you need machinery rental for Civil, Mining, Earthmoving or Commercial Construction Projects? For us, no job is too big or too small. So, feel free to get in touch so we can talk about what it is you need. 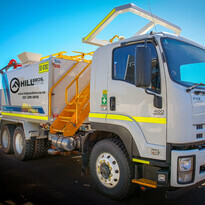 Whatever the job, Hill Bros can deliver. We believe that to get the job done right, you need the right equipment. This is what we provide. At Hill Bros, we’re there with you every step of the way. We find the right machinery for hire -- even if we need to have it shipped from overseas. We can further tailor any piece of equipment to ensure it’s reliable and safe. At Hill Bros, we take pride in providing machinery we know will get the job done. Along with matching you with the right water cart and custom machinery plant hire, Hill Bros is committed to raising the standard of health and safety within our industry. Accidents can happen in the blink of an eye and occupational Health and Safety regulations are increasing rapidly in New Zealand. This means your legal and financial obligations are increasing, particularly if the machinery you’re using does not make the grade. Further, loss of life due to equipment failure is a cost too great for any project. 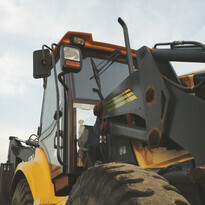 Our heavy equipment is modified to comply with the highest of safety standards to keep your team safe. Reduce your risk and get more done with Hill Bros.
At Hill Bros, we have over 25 years of experience within the civil and vehicle industries and are well versed in industry leading practices. Taking a hands-on approach, we specialise in finding the right solutions for your construction projects. We know our stuff, and we’re on top of new technology and industry changes. Yet, we put our technical insights to use by listening to your needs to match you with the right equipment. When you choose Hill Bros you are not only using the best in the industry -- you are using a family-owned and operated company who are dedicated to delivering the best job. You are treated with respect and sincerity. You are treated like family. "Our old water truck had broken down and our job site was getting threatened to be closed due to dust issues. Christian didn't have a water truck available immediately, so he went out and purchased a truck specifically for our needs until his specialist truck became available. 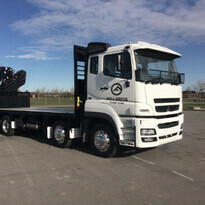 To top it off, the guys on site were highly impressed with the setup and the excellent job the truck did.